New Delhi: With people getting all engrossed in updating their profiles on the social networking platforms, keeping their body healthy and fit isn’t a priority anymore but a complicated task that most ignore to achieve. And, this has led to some serious concerns of joint pain complications ticking on human bodies. 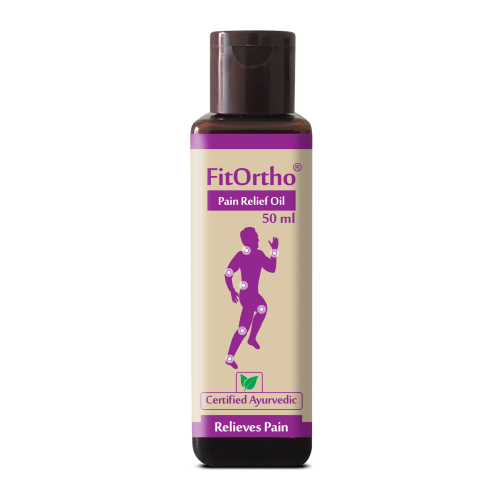 Considering the same, Upakarma Ayurveda has come up with their revolutionary product, FitOrtho- Pain Relief Oil for all age groups. Available at both online and offline channels, FitOrtho is a 100% natural product made with the wondrous pain-relieving herbs and shrubs. From joint pain to the severe muscular cramps, FitOrtho is the best choice to bring instant relief from all these aches, both, naturally and efficiently. Sallaki oil, which is the key ingredient of FitOrtho, acts as a counter-irritant and rubefacient. It blocks nerve endings for pain sensation and accelerates the recovery. Available in a 50 ml bottle, this Ayurvedic formulation when gently massaged on the affected area 2-3 times a day, regularly can bring great results.